From the percussive cider house traditions of the txalaparta to the accordion- and tambourine-infused sounds of festival celebrations, Basque music traditions are often participatory and lively. It is common at Basque festivals to see groups of people gathering or processing down the streets singing and dancing, a phenomenon known as kalejira. Gatibu comes from Gernika (Bizkaia), bringing with them a wide range of rock and pop music in the Basque language. Kalakan is a trio from the north of Basque country that reinterprets traditional music and other international rhythms. The San Francisco Klika brass band, which shares members with the Kern County Basque Club Klika, kicks off a morning mass at the 34th anniversary of the San Francisco Basque Cultural Center in California. Trikitixa (accordion) player Agus Barandiaran founded the Korrontzi folk band in 2004. NOKA is a trio of Basque American women based in Chino, California: Andrea Miren Bidart, Begoña Echeverria, and Cathy Petrissans. 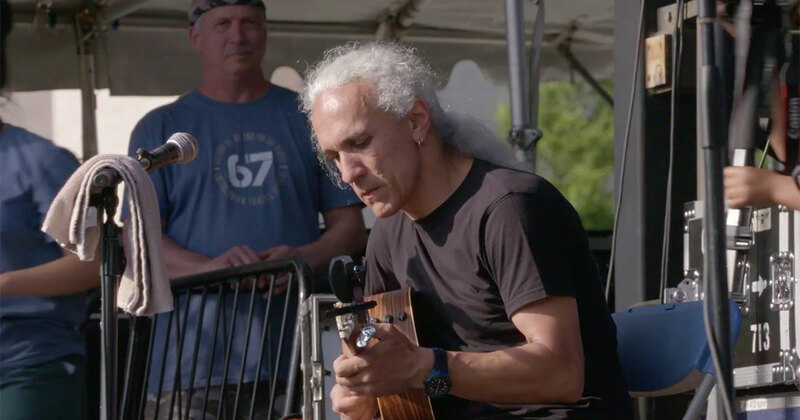 Basque Americans often come together in their respective communities to sing in choirs or play in bands, and, in some cases, preserve traditions that are no longer practiced in Basque country. Others seek to bring attention to the Basque language. In Basque country, newer music innovations have taken various directions—from revitalizing interest in traditional instruments by adding layered rhythms to using Basque language lyrics within the global language of rock ’n’roll. Learn about the musicians who cameto the Folklife Festival below. Amuma Says No is a Basque American band based in Boise, Idaho. 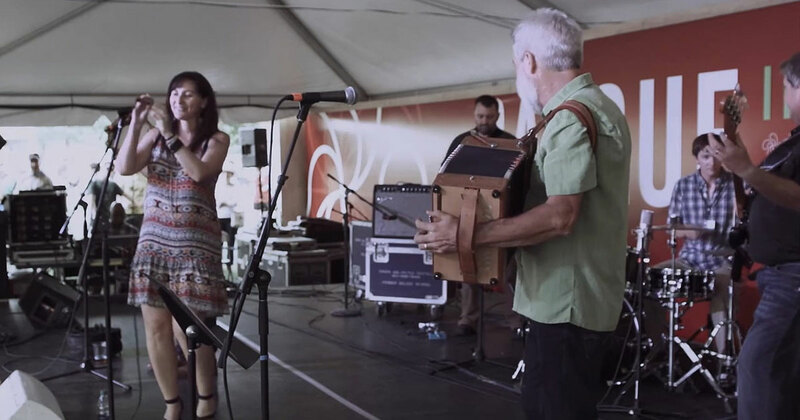 Keeping the heart and soul of Basque music in America, the band brings together the best of traditional trikitixa—a duo of accordion and tambourine—with a modern rhythm section and songs sung in Euskara. 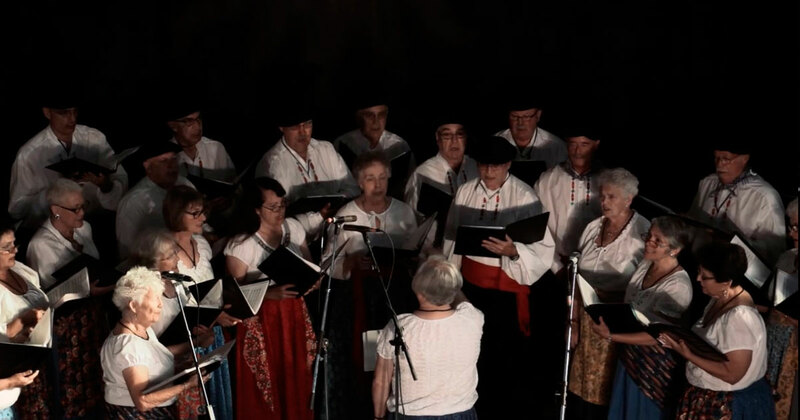 The Biotzetik Basque Choir performs both traditional folk songs and sacred music. Founded in Boise, Idaho, in 1986, the thirty-one-person choir consists of native Basques and first- and second-generation Basque Americans. Gatibu comes from Gernika (Bizkaia), bringing with them a wide range of rock and pop music in the Basque language. Led by singer Alex Sardui, the four-piece band has toured around Basque country and Europe since their inception in 2002. Kalakan, a trio from the north of Basque country reinterprets traditional music and other international rhythms using Basque txalaparta (xylophone-like instrument made from leftover cider-making parts), pandereta (tambourine), atabal (kettledrum), and more. In 2012, they took to the world stage by accompanying Madonna on her MDNA tour. Kepa Junkera, a well-known Basque trikitixa (accordion) player, currently tours with the Sorginak, an all-women group whose name translates as “witches.” Their music promotes the use of traditional Basque instrumentation while exploring new fusions of rhythm and sound. The Kern County Basque Club Klika carries on the klika brass band tradition. Similar to a drum and bugle corps, the genre derives from military practices in Iparralde (northern Basque country). Based in Bakersfield, California, this group is made up of twenty-five horn players and drummers. Trikitixa (accordion) player and bar owner Manuel Iturregi Legarreta formed Klaperttaŕak from a group of musicians around Bilbao (Bizkaia). 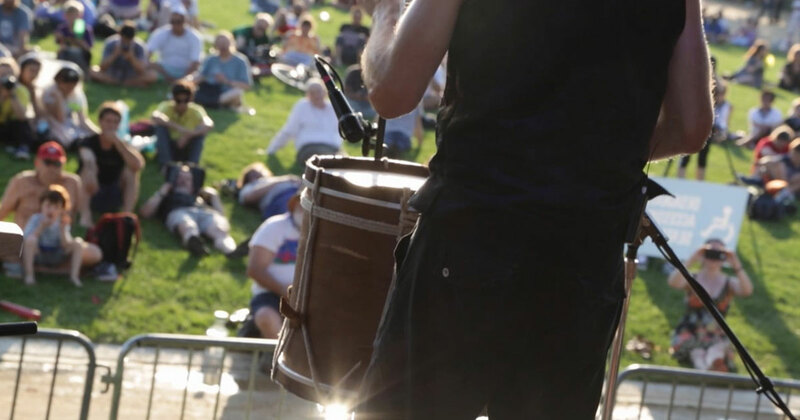 With sounds from the wooden txalaparta and animal horn alboka woodwind, they will demonstrate the Basque festival tradition of kalejira, “going around singing and dancing.” Visitors are welcome to join in! The eight-piece Korrontzi folk band was formed by trikitixa player Agus Barandiaran in the town of Mungia (Bizkaia). 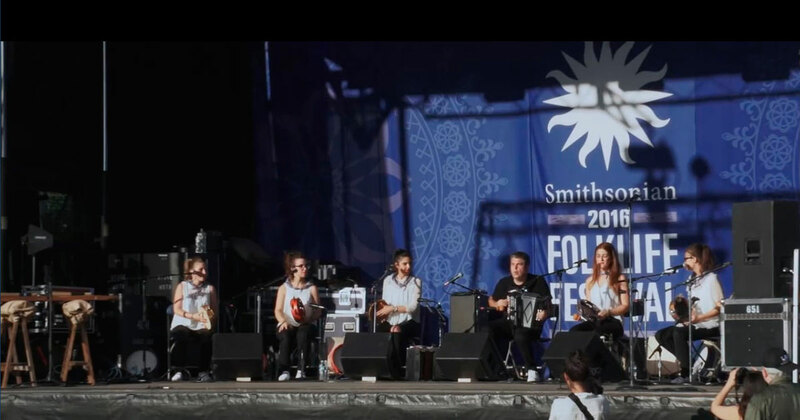 Through its performances, the band seeks to elevate Basque traditional music and dance, adding modern instruments and rhythms to make it accessible to a larger audience. 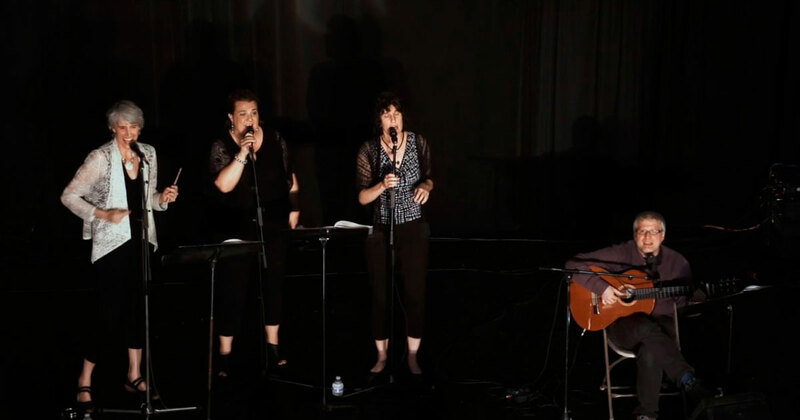 NOKA is a trio of Basque American women based in Chino, California: Andrea Miren Bidart, Begoña Echeverria, and Cathy Petrissans. They specialize in songs about Basque culture, gender, and identity. Their name derives from the antiquated Basque noka form of address, used familiarly among women with a sense of konfiantza, or trust. By singing in noka, the group hopes to bring more awareness to this important aspect of the Basque language and, perhaps, increase its use. David Romtvedt performs Basque traditional and contemporary music on the trikitixa (Basque accordion) and diatonic accordions. A resident of Buffalo, Wyoming, he is also an award-winning author and the Wyoming poet laureate. His daughter, Caitlin Belem, plays the fiddle, saxophone, guitar, and sings. She also plays Brazilian and Latin music with the band Maracuja. Radio producer Betto Arcos interviews Begoña Echeverría and Andrea Bidart about the group's efforts to sustain Basque culture in the diaspora.